Check out our Portfolio and Social Media!! EVERY project starts with an Initial Consultation, whether it's big or small. We're here to help, however you need us. You'll get up to one hour (60 mins) at your home to discuss as many spaces as you'd like. Sometimes it's helpful to walk the entire home, other times it's most beneficial to discuss only one space. This consultation should benefit YOU as much as possible, so if that means offering design advice, showing us how you live in the space, and/or learning more about our "next steps" or "Full-Service" options, we can work on whatever works best for you. If you have specific expectations for what you'd like to accomplish, please let us know so we can best serve you. While in your home, Sara will ask a lot of questions, take notes and also take photos so that she can leave your home, share it with the team and continue to think about your project and understand more about what you're looking for. After our Initial Consultation, our team will write up any notes from our discussions and directly email them to you in a PDF file, so that you can reference them at your convenience. You'll also have access to Sara's E-book titled "5 Essential Elements to Romantic Transitional Style" where she shares insight into her design strategies and process. This will help you to understand more about how our designs work and also give you some great insider "tips"! Prepare some "Inspiration Images" to review with Sara during your consultation to help define your design style and vision for the space. Gather all parties involved in this design project (spouse/partner, roommate, family, children, etc.) and have a conversation about your level of investment for this project BEFORE Sara arrives. If you don't know 100%, that's okay. It's best to discuss how much time, energy and money you think you'd like to invest into this project so that Sara can determine which design service would be best for you. Get excited! We are about to make your design dreams come true! 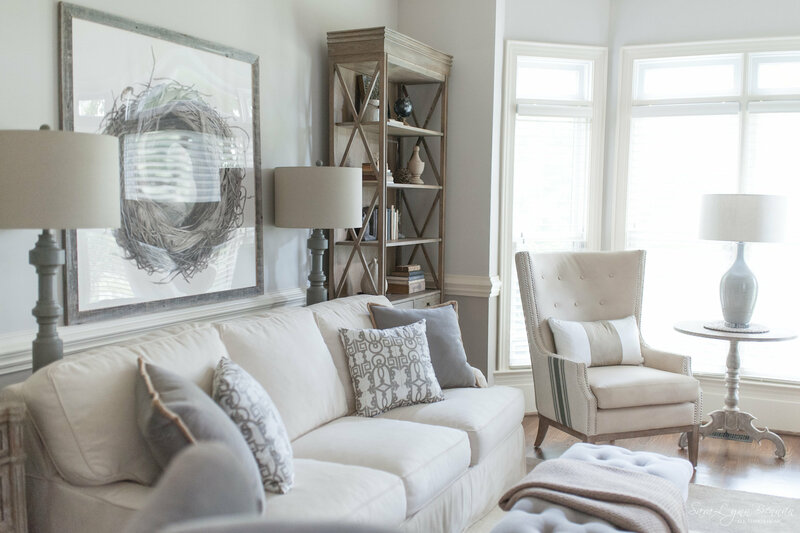 Sara Lynn Brennan Interiors has an incredible team that can execute your design dreams from start to finish - we are one step closer to making your design dreams come true and THAT is something to get EXCITED about!